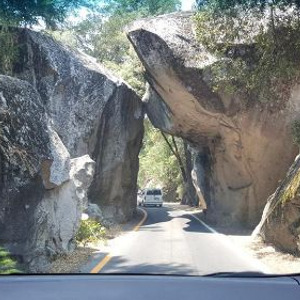 Day's description: When going to Yosemite National Park from San Francisco, you take I-580 E and CA-120 E, which takes about 4 and a half hours to 5 hours in total—but this shouldn’t scare you away. Why? Because you are traveling an epic food and wine trail. 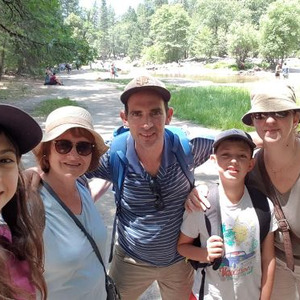 Walking around Yosemite at the end of the journey is an added benefit! 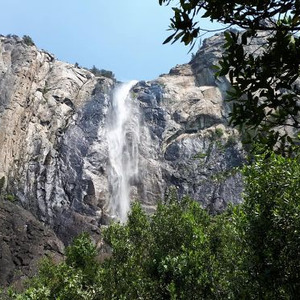 With the main route going through wine country, you will find plenty of wineries to make multiple pit stops when traveling to and from the majestic Yosemite National Park. 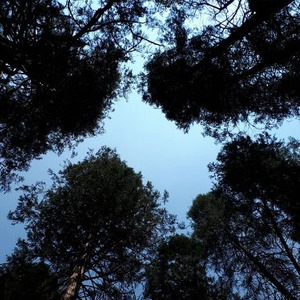 Upon arriving at the park, you can enjoy all kinds of outdoor recreational activities, such as kayaking, hiking, camping, fishing, and more. San Francisco, officially the City and County of San Francisco, is the cultural, commercial, and financial center of Northern California. It covers an area of about 46.89 square miles, mostly at the north end of the San Francisco Peninsula in the San Francisco Bay Area. San Francisco is the more.. fourth-most populous city in California and the 13th-most populous in the United States, with a 2017 census-estimated population of 884,363. The consolidated city-county is also the fifth most densely populated U.S. county, behind only four of the five New York City boroughs. As of 2016, it was the 7th highest-income county in the United States, with a per capita personal income of $110,418. San Francisco was founded on June 29, 1776, when colonists from Spain established Presidio of San Francisco at the Golden Gate and Mission San Francisco de Asís a few miles away, all named for St. Francis of Assisi. The California Gold Rush of 1849 brought rapid growth, making it the largest city on the West Coast at the time. San Francisco became a consolidated city-county in 1856. After three-quarters of the city was destroyed by the 1906 earthquake and fire, San Francisco was quickly rebuilt, hosting the Panama-Pacific International Exposition nine years later. In World War II, San Francisco was a major port of embarkation for service members shipping out to the Pacific Theater. It then became the birthplace of the United Nations in 1945. After the war, the confluence of returning servicemen, significant immigration, liberalizing attitudes, along with the rise of the "hippie" counterculture, the Sexual Revolution, the Peace Movement growing from opposition to United States involvement in the Vietnam War, and other factors led to the Summer of Love and the gay rights movement, cementing San Francisco as a center of liberal activism in the United States. Politically, the city votes strongly along liberal Democratic Party lines. A popular tourist destination, San Francisco is known for its cool summers, fog, steep rolling hills, eclectic mix of architecture and landmarks, including the Golden Gate Bridge, cable cars, the former Alcatraz Federal Penitentiary, Fisherman's Wharf, and its Chinatown district. San Francisco is also the headquarters of five major banking institutions and various other companies such as Levi Strauss & Co., Gap Inc., Fitbit, Salesforce.com, Dropbox, Reddit, Square, Inc., Dolby, Airbnb, Weebly, Pacific Gas and Electric Company, Yelp, Pinterest, Twitter, Uber, Lyft, Mozilla, Wikimedia Foundation, Craigslist, and Weather Underground. It is home to a number of educational and cultural institutions, such as the University of San Francisco, University of California, San Francisco, San Francisco State University, the De Young Museum, the San Francisco Museum of Modern Art, and the California Academy of Sciences. San Francisco has several nicknames, including "The City by the Bay", "Golden Gate City", "Frisco", "SF", "San Fran", and "Fog City", as well as older ones like "The City that Knows How", "Baghdad by the Bay", "The Paris of the West", or, as locals call it, "The City". As of 2017, San Francisco is ranked high on world liveability rankings. less..
A definite attraction for people visiting Yosemite. Pizzas are great and the staff is friendly. Pizza Factory Inc. is a chain of pizza restaurants in the western United States, based in Oakhurst, California. The company began in 1979, when Danny Wheeler and his wife Carol opened Danny's Red Devil Pizza in Oakhurst. Ron Willey and his wife Joyce subsequently opened a second location in 1981, more.. known as Pizza Factory. In 1986, Wheeler and Willey began franchising the company under the Pizza Factory name. By 2000, the company had expanded to China. In 2012, longtime franchisee and marketing team member Mary Jane Riva purchased the company and became its president and chief executive officer. As of 2016, Pizza Factory had 115 locations in six U.S. states. less.. 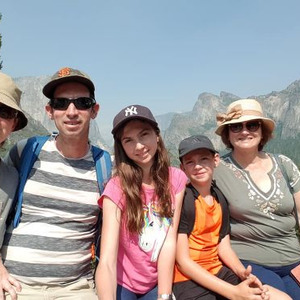 Tunnel View is a scenic overlook on State Route 41 in Yosemite National Park. 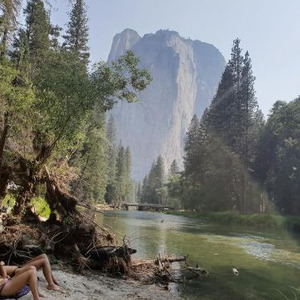 The iconic and expansive view of Yosemite Valley from the view point have been seen and documented by visitors since it opened in 1933. Internationally renowned artists to casual tourists have painted, drawn, and more.. photographed the dramatic scenery from here and nearby vantage points since the 19th century. 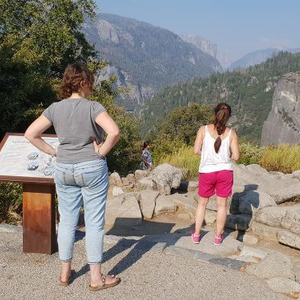 The large viewpoint area is located directly east of the Wawona Tunnel portal, as one enters Yosemite Valley from points south. 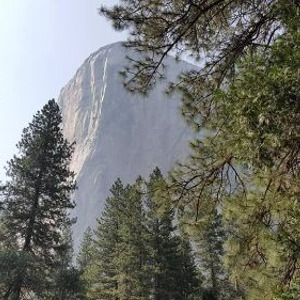 The view looks eastward into Yosemite Valley, and includes surrounding features, such as the southwest face of El Capitan on the left, Half Dome on axis, and Bridalveil Fall on the right. 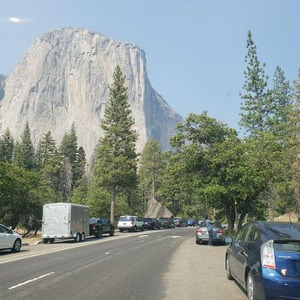 For many arriving by road, this is the stunning first view, upon suddenly exiting the long and dark tunnel, of Yosemite Valley and its setting. A generous turn out with parking lot accommodates leaving vehicles behind, to take it all in. The trailhead, for the hiking trail up and south to Inspiration Point, is located here. 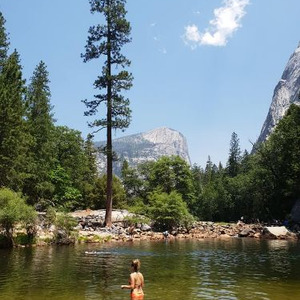 less..
Buy the annual park pass (costing around 80 dollars) and it lasts one year from the date of purchase, giving you the flexibility to visit several different national parks and recreation sites in one year. Use the pass as a pre-paid entrance for all passengers in a non-commercial vehicle at per-vehicle fee areas. You can also use it at the entrance to per-person fee areas, too, granting you access for yourself (the pass holder) and three adults. Children under 16 who accompany any annual pass holder are granted free access, as well. As we had mentioned earlier, California is humongous and diverse. 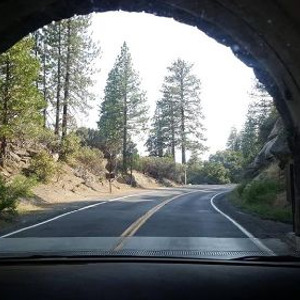 There is no way you can see everything worth seeing in a few days, but going up and down the glorious Pacific Coastal Highway (US Highway 101) is one way to ensure you are going on the best road trip ever. Because of this, you need to be realistic in your time constraints. Going from Point A to B will take time, so know where you wish to go before anything else. You will also want to have a reliable GPS, since the roads around Cali can be confusing for first timers. Remember to pack for varied weather, since San Fran tends to be cooler and rainier than San Diego. 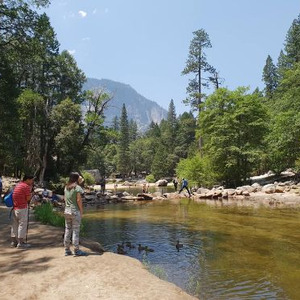 Yosemite is up in the mountains, so it’s colder than LA.